Our celebrations of Christ’s resurrection at Easter tend to be narrowly focused. The focus, all too often, drills down onto the individualistic issue that the resurrection makes personal salvation possible. Christ has been raised so that you can go to heaven. Now don’t get me wrong. 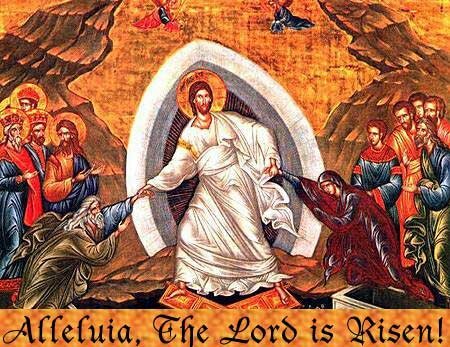 I happily affirm that the salvation of each person depends on the historical bodily resurrection of Christ: “If Christ has not been raised, your faith is futile and you are still in your sins” (1 Cor 15:17). The problem comes when we fail to consider how the implications of the resurrection extend beyond individual salvation. And in doing so we don’t have to worry about overlooking or neglecting the personal saving power of the resurrection. To the contrary, we establish it. So, what is the resurrection about? If we turn to the Gospel of John, we soon discover that the resurrection of Jesus is the basis for the Church’s vocation in the world. Easter means mission. Consider the words of Jesus to his disciples on the evening of the day of his resurrection: “Peace be with you. As the Father has sent me, so I send you” (John 20:21). The first thing Jesus does is set before his closest followers the task he intends them to fulfill. He is sending them out into the world with a mission, a mission that flows out of and is similar to the one for which Jesus himself was sent into the world. And what is this mission? John has at least two things in mind: reconciliation and new creation. Twice during this first post-resurrection meeting, Jesus tells the disciples, “Peace be with you” (20:19, 21). His mission to them is a mission of reconciliation. And rightly so, for all human beings come into the world estranged from God. To draw on John’s own language, “No one has ever seen God” (1:18). God is light. We stand in darkness. Jesus comes to make peace between God and us so that we can become the children of God, so that we can experience the pure and unqualified joy of seeing God’s glory. And he does this reconciling work in his own body. This is why the incarnation is so important. This is central to the significance of the Word made flesh. Because he is fully God and fully human, he brings the two disparate parties together in his body. God and humanity are reconciled in the very body of Jesus that died on the cross and was raised from the dead. Without the incarnation and bodily resurrection, there is no reconciliation between God and humanity. This is what the Father sent Jesus to do, and Jesus says, “As the Father has sent me, so I send you.” If the Father sent the Son to work peace between God and the human race, then Christ sends his Church to be agents of that peace making mission to the rest of the world. But the mission goes much deeper than any initial reconciliation between God and humanity. John also gives us a few clues to help us understand that our mission is to cultivate the new creation that God is working through Christ and the Spirit. We know John likes Genesis. No first-century Jewish writer starts out a book with the words, “In the beginning,” and does it on accident. He is intentionally drawing on the creation narrative in Genesis 1 to inform our reading of the Gospel. And if Genesis 1 is telling the story of creation out of nothing, then John 1 is telling the story of new creation out of the old. John 20 offers a couple more clues that Jesus has been sent to work new creation. Ever notice that John is telling us about the most important day in the history of the world and never says a word about anything that happens while the sun is up? The story starts in the dark of early morning only to jump forward to the dark of evening. Morning, evening; evening, morning. That John is drawing on Genesis 1 ought to be clear. If it isn’t, John repeatedly reminds his readers that this is the first day of the week. If Genesis 1 tells story of cosmic creation structured by seven days of evenings and mornings, John 20 sets up the story of the resurrection as the work of God on the first morning and evening of the new creation. And as the Spirit hovered in the darkness over the face of the primordial waters, so now the Spirit is at work in the darkness of that first Easter morn raising the dead as the first act of God’s new creation. “As the Father has sent me, so I send you.” If Jesus has been sent by the Father to inaugurate the new creation, the Church has been sent by Jesus to cultivate it. If our job, then, is to be agents of reconciliation between God and the world and to cultivate the new creation everywhere we go, then personal salvation is obviously included in that along with much, much more. And our vision of salvation is enlarged way beyond the old “go to heaven when you die” sort of “fire insurance” that has so often characterized American Christianity. The mission is to facilitate peace between God and the nations. That peace is part and parcel to personal salvation, but it is neither a salvation of mere forgiveness nor is it a salvation of escape. Rather, it is salvation in which we are made new creatures for life in the new creation. It is incarnational. It is transformational. It’s the whole package. Easter is mission. Here’s the latest installment of Seedbed’s Seven Minute Seminary series in which I discuss several questions related to life after death, bodily resurrection, and the pastoral significance of the Christian hope. Watch to the end to discover why this doctrine is so very near and dear to my heart. Be sure also to check out this great little discussion guide that the Seedbed team has put together to accompany the video for use in a small group setting. When we want to read about the birth of Jesus, we usually turn to Matthew and Luke. After all, that’s where we find angels and shepherds, magi and the manger, Mary and Joseph, and, not least, baby Jesus himself. We don’t usually turn to the Gospel of John. John doesn’t have all the nativity stuff. Nevertheless, the opening chapter of John is telling a Christmas story, because it’s telling the story of the Word of God made flesh in the person of Jesus. It’s the story of the incarnation. And Christmas is about nothing, if it’s not about the incarnation. John is not quite so interested in who was there when Jesus was born. He is more interested in the implications of God taking a body in Christ. And one of the reasons John is interested in what it means for God to take a body in Christ is because John understands that the body of Christ is the bread of life. And John wants to be sure the sheep are fed. If you received this post through email, click here for the podcast. 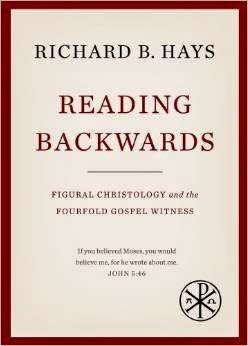 After attending part of the review panel for Richard Hays’ new short book, Reading Backwards: Figural Christology and the Fourfold Gospel Witness (Baylor, 2014), I knew I had to get a copy and read it. So I did, and took the long plane ride from California as an opportunity to dig in to this treasure trove of accessible and robust biblical scholarship on the Gospels. Hays is currently the Dean of Duke Divinity School and is well known for his work on the interplay between Old and New Testaments. This book is the published version of Hays’ Hulsean Lectures at Cambridge in the fall of 2013 and spring of 2014, and it takes up that interplay as it relates to the canonical Gospels. The central thesis of the book is that the Gospels teach us to read the Old Testament, and the Old Testament teaches us to read the Gospels. In particular, the Gospels are to be read figurally, that is with a view to the many ways Old Testament texts may signify or pre-figure the Gospel narratives about Jesus. Hays puts it this way: “we learn to read the OT by reading backwards from the Gospels, and – at the same time – we learn how to read the Gospels by reading forwards from the OT” (4, italics original). This is not simply to say we note the citation when a Gospel passage quotes or evokes an Old Testament passage. It means that the Gospel writers intend their readers to soak into the original context of Old Testament passage and to interpret what they say about Jesus in light of that context. So, when Jesus says things like, “I am with you,” or, “My words will not pass away,” he should be read with a view to the rich texture that those words have in the OT when they are predicated of God. Or when Jesus walks on water, it’s not just a neat miracle to illustrate his power over nature. It should be read with the understanding that in the Old Testament only the God of Israel “treads on the waves of the sea” (Job 9:8). And the narrative implication is that Jesus embodies the presence of that very God. These examples don’t begin to capture the many and varied ways the Gospel writers see the Old Testament pre-figuring Jesus. You’ll have to read the book. In the mean time, here are three reasons to do just that. A significant number of New Testament scholars insist that stories about Jesus’ divinity were invented by the later Church and read back onto the life of Jesus. 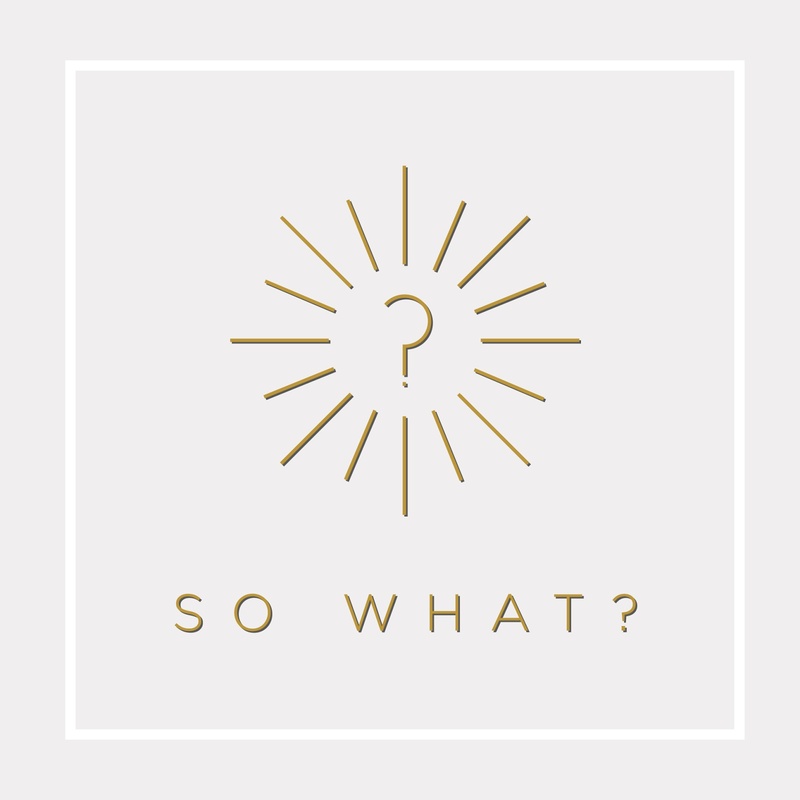 Hays cites one of the more popularly known proponents of that view, Bart Ehrman, who says, “The idea that Jesus was divine was a later Christian invention, one found, among our gospels, only in John” (Jesus Interrupted, 249). In contrast, Hays shows that each of the Gospels were written to narrate how Jesus of Nazareth embodies the God of Israel. To be sure, the different gospels tell the story to emphasize different aspects of what that embodiment looks like, and the diversity of their portrayals should not be minimized. Nevertheless, when the Gospels are read figurally in light of the Old Testament, they unanimously insist that Jesus bears in his body the unique presence of the creator God. Hays makes his case with elegance and beauty, which is the main reason it is so robust and persuasive. When you come to the creeds after you read this book, their words will carry far richer meaning than you ever might have imagined. This reason for reading is directed more toward the preachers out there. Use this book as a resource for preaching the Gospels. If you are working with a passage in the Gospels, look it up in the index to see what Hays says about it. It will add a multiple layers of depth to your comprehension and preaching of the text. It will point you to features of the text that you had not previously observed. And it will equip you to lead your congregation into a deeper understanding of the connection between the Old Testament and the Gospels. It will make you a better preacher. I’ll finish by saying that this book is an excellent read for the season of Advent, which has just begun. As we draw near to Christmas and our celebration of the Incarnation of God in Christ, what better book to read than one focused on deep clarity with regard to the way the Gospel writers portray the Incarnation? I was very glad to read this book when I did since I was reflecting on scripture and sermons for the season. It has impacted my experience of Advent both in terms of formation and as a resource for preaching. For this I am grateful. Seldom do I say that I cannot recommend a book highly enough, but that is exactly what I will say about Reading Backwards.